Patrick Felicia, PhD, is a lecturer, course leader and researcher at Waterford Institute of Technology, where he teaches and supervises undergraduate and postgraduate students. 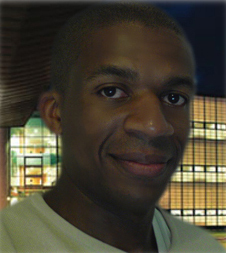 He obtained his MSc in Multimedia Technology in 2003 and PhD in Computer Science in 2009 from University College Cork, Ireland. Patrick has a keen interest in the design and development of engaging educational multimedia-based application for secondary and third level. He is specialized in Game-Based Learning, Multimedia, Educational Psychology, and Instructional Design. He is Editor-In-Chief of the International Journal of Game-Based Learning (IJGBL) and has also served on program committees for international Game-Based Learning and Technology-Enhanced Learning conferences and journals. Patrick is currently conducting research in the fields of adaptive educational games and user profiling in video games. He is also investigating the factors that may facilitate or prevent the integration of GBL in primary, secondary and third-level education. In addition to his research on GBL, he also focuses on promoting best practices for GBL amongst educationalists (e.g., keynotes and workshops), a task he believes is crucial for a wider understanding and acceptance of GBL.